Oscar Meyer Needs A Weinermobile Driver, apps accepted ! Do you have an appetite for adventure? Well hot dog! Oscar Mayer has the job for you. 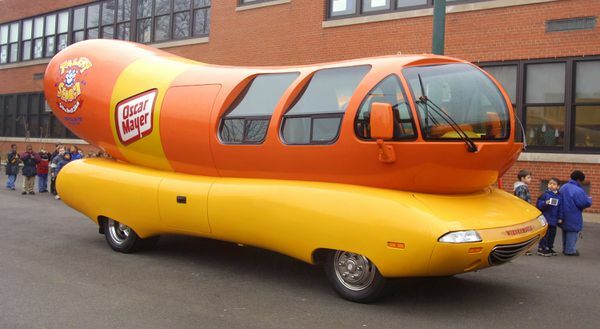 The company famous for its hot dogs and cold cuts is looking for its next Wienermobile drivers. The job doesn’t just include driving the famous Wienermobile around the country. In fact, applicants should have a degree in public relations, journalism, communications, advertising or marketing. According to the release online, hotdoggers will be tasked with acting as their “own traveling public relations firm, organizing promotions and pitching TV, radio and print media." Applications are due no later than Jan. 31, with the position beginning in June. Re: Oscar Meyer Needs A Weinermobile Driver, apps accepted ! Best news I've seen today!